Xbox has, today, released an over-the-air tuner after announcing a partnership with Happauge. Xbox said it is a "great option for Xbox One owners to get TV entertainment." The TV tuner is the most asked feature of Live TV for Xbox Feedback from their customers in the United States and Canada. This product means that anyone from anywhere can watch and gain access to broadcast networks with no extra fees. 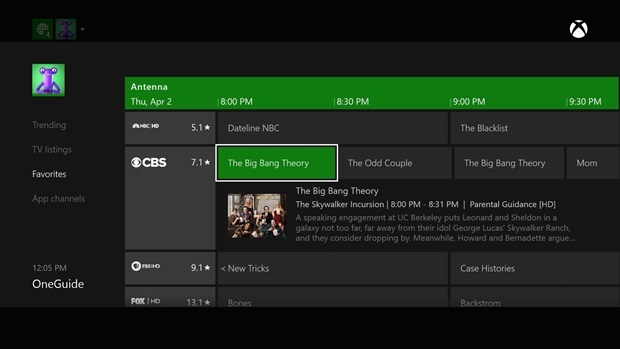 Xbox recently also paired with Sling TV, which means more networks can be accessed, all of which can be accessed live from an Xbox One console. Members that are subscribed to the Xbox One Preview program can get their hands on over-the-air TV by purchasing the Hauppauge product. In the next upcoming months, Xbox will be partnering with this company to release a cheaper version of the TV tuner that is currently available for just under $60. In addition to this, Xbox also announced that they are expanding their support for the Xbox One Digital TV Tuner to preview members in 11 more European countries starting today. The countries are: Austria, Belgium, Denmark, Finland, Ireland, Netherlands, Norway, Poland, Portugal, Sweden, and Switzerland, and they will receive the TV tuner later this year. They said they are "thrilled to be expanding our TV offerings, bringing TV tuners for over-the-air TV to a total 19 markets and helping gamers stay connected to their gameplay, even when they’re watching TV." Finally, Xbox announced that more is to come very soon, in addition to these announcements. Larry Hryb from Xbox talks to Harrison Hoffman in a video below. What do you guys think of this? Post your thoughts below. Thanks to Jedi for the submission idea.